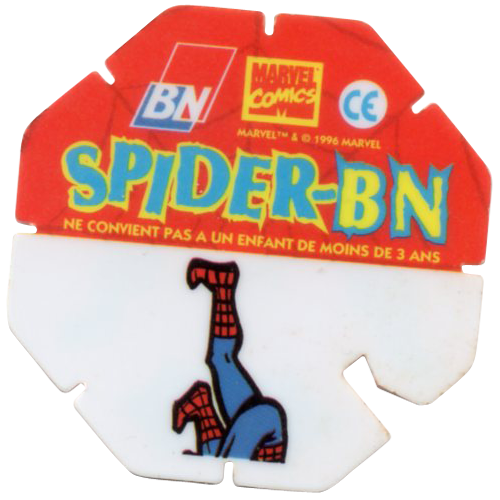 Info:These BN Trocs were probably given away with packets of BN biscuits in France. 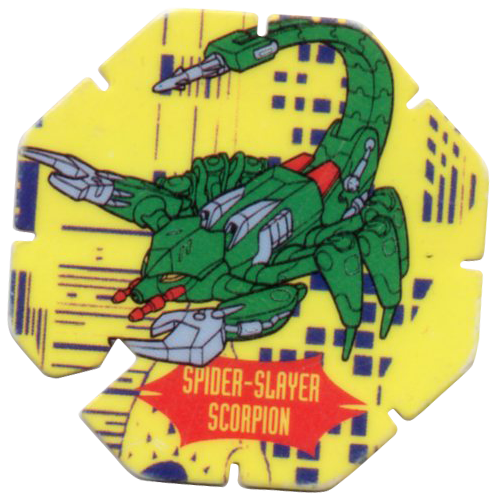 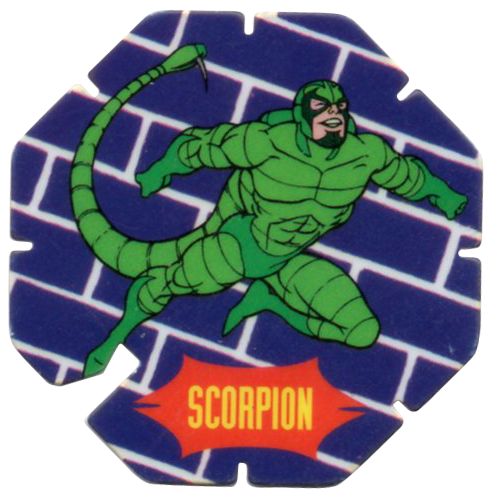 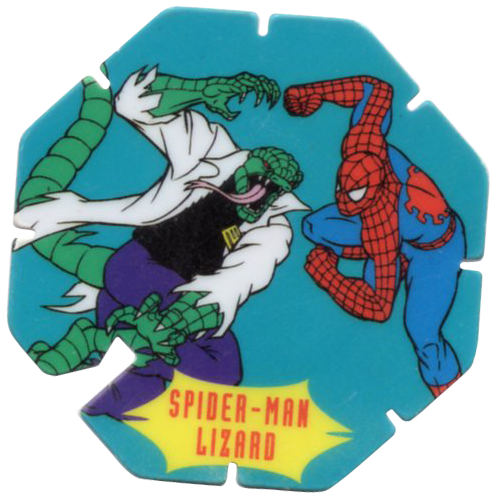 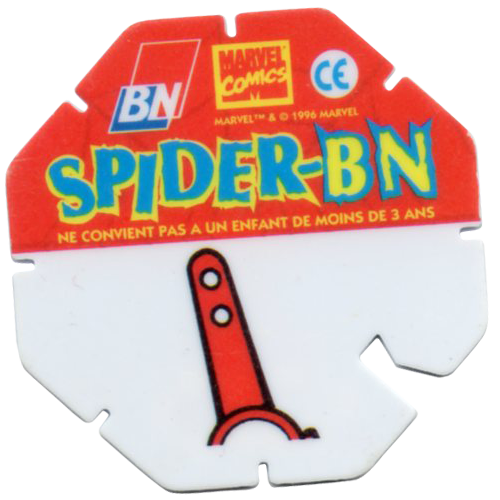 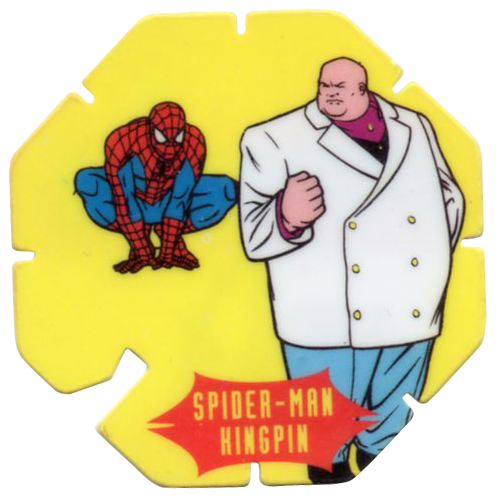 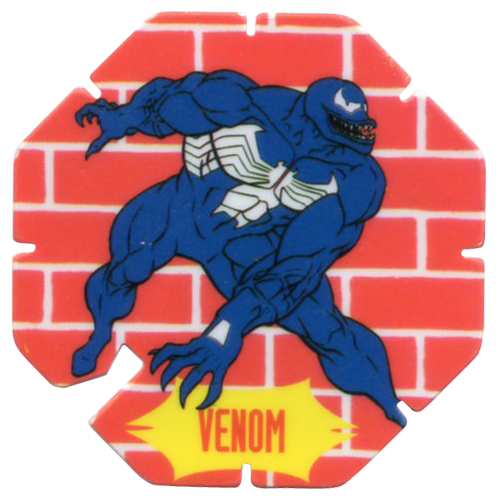 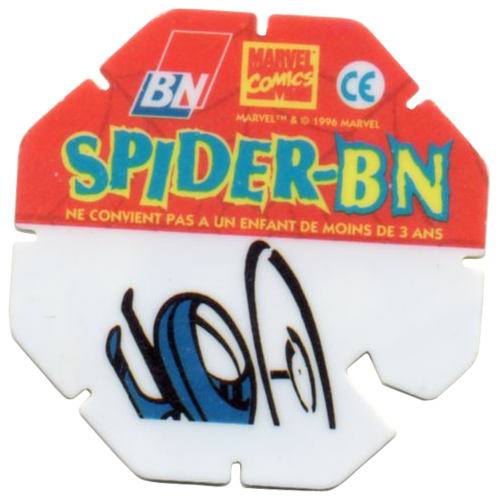 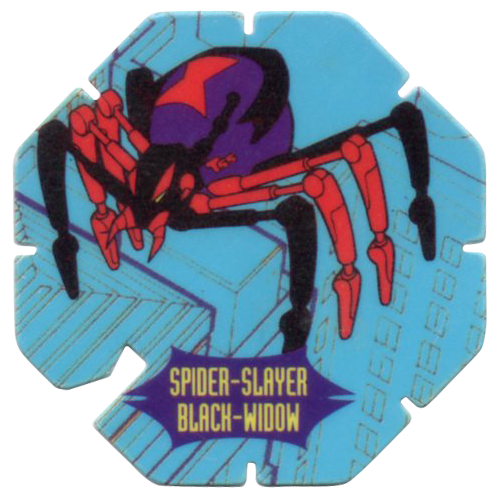 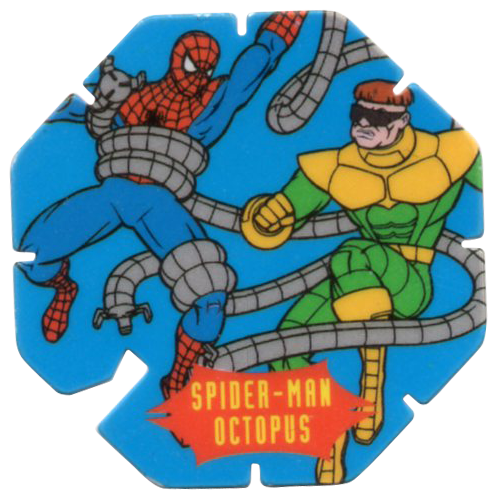 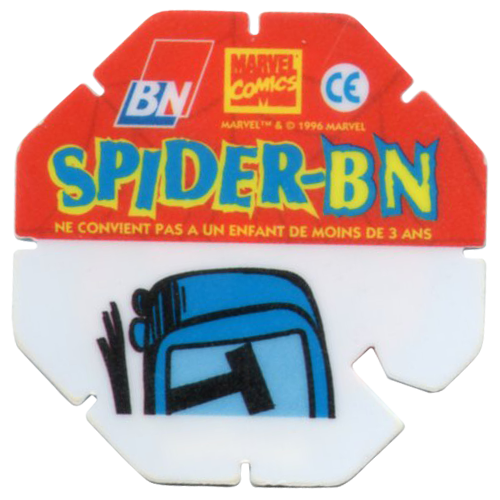 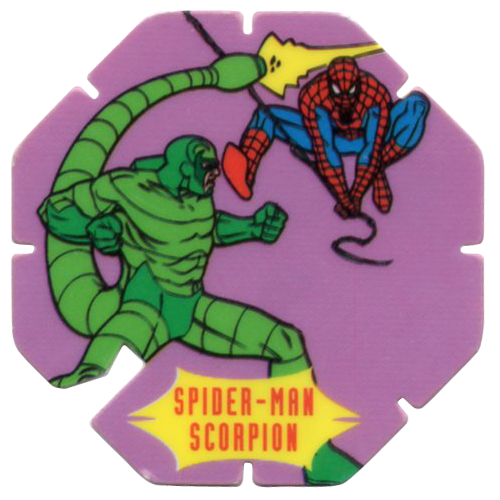 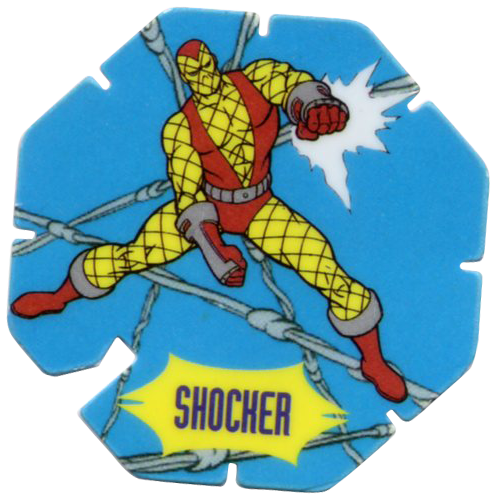 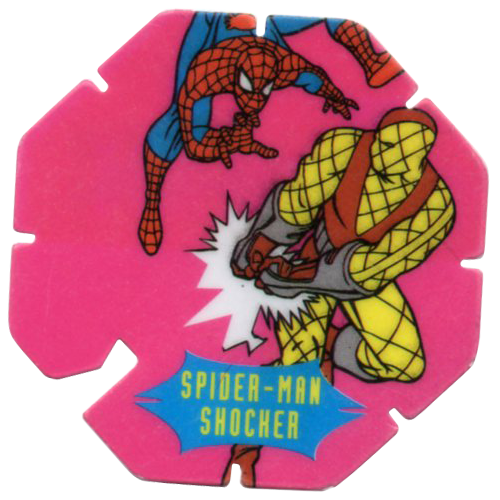 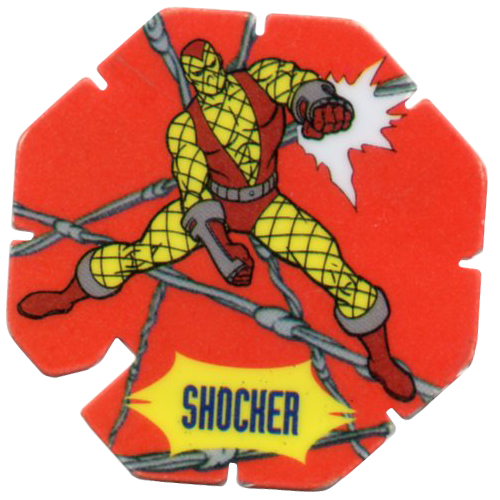 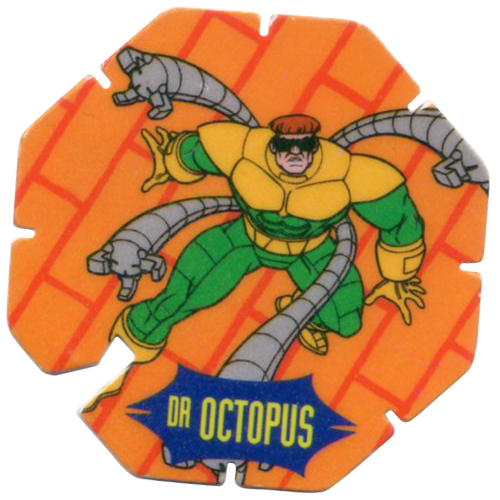 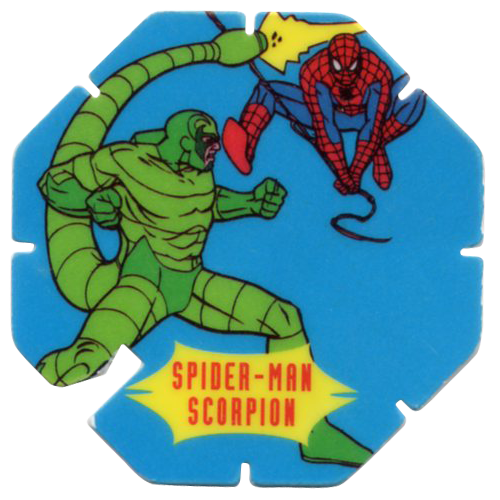 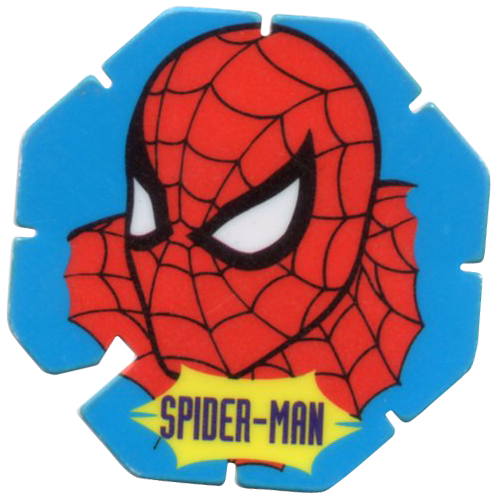 They feature images of Spider-man and his various enemies. 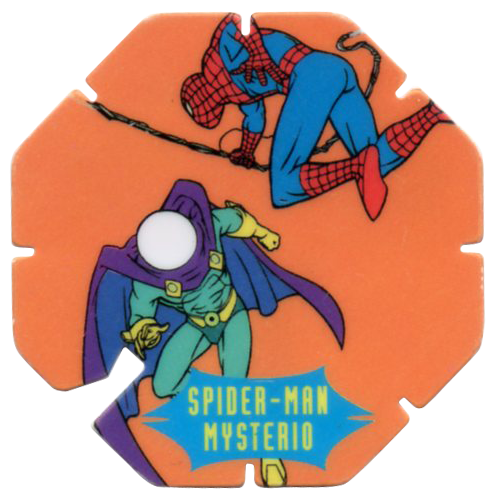 Some feature the same design but with different background colours. 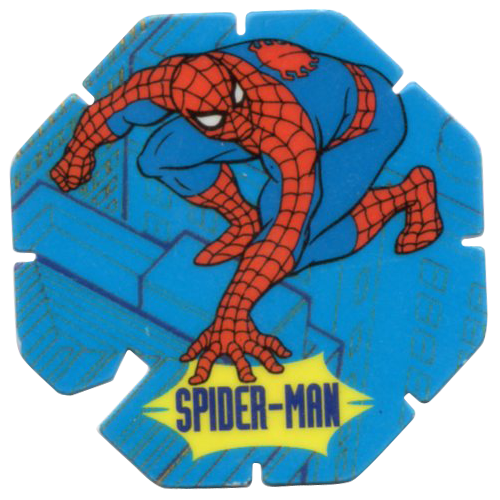 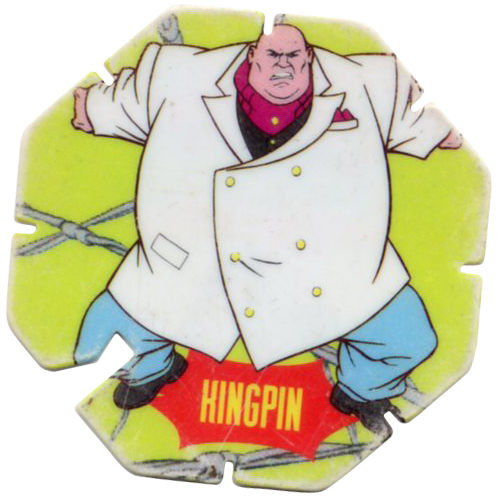 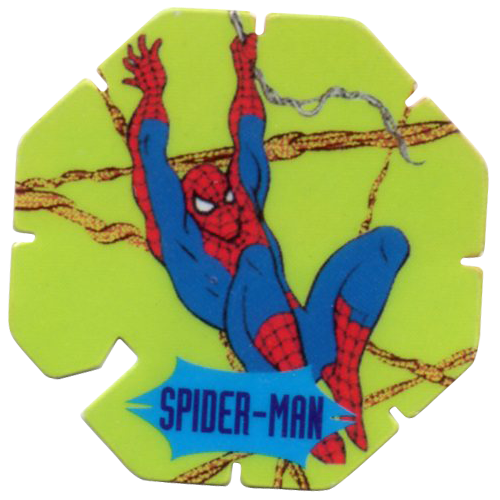 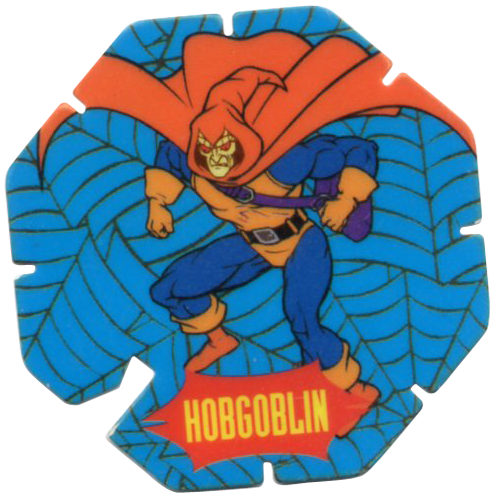 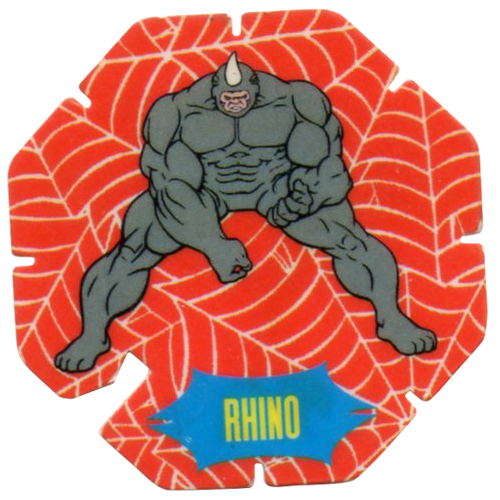 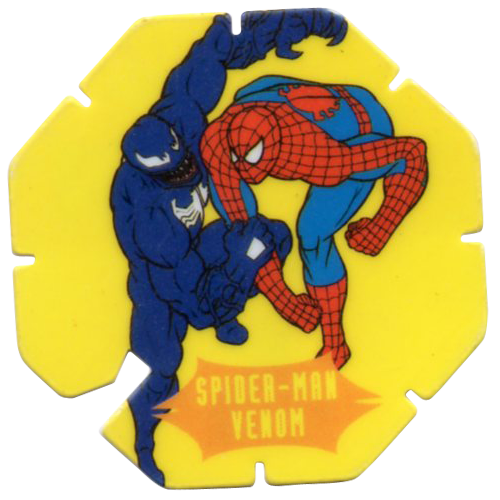 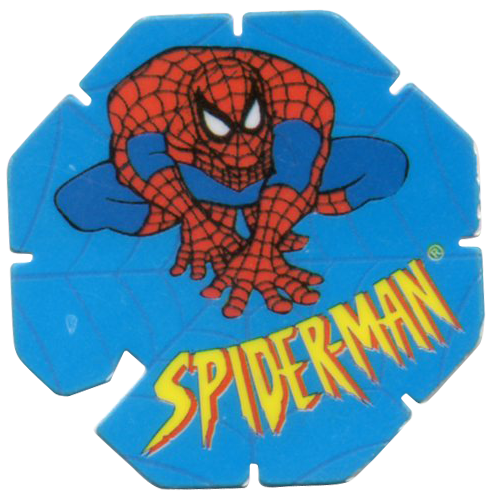 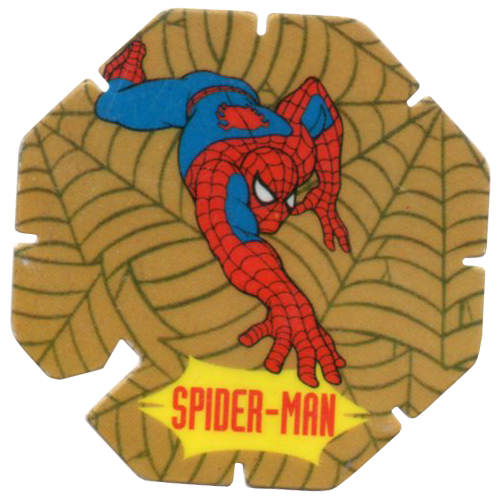 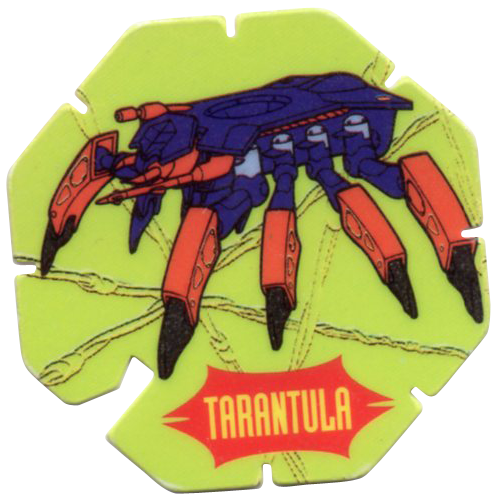 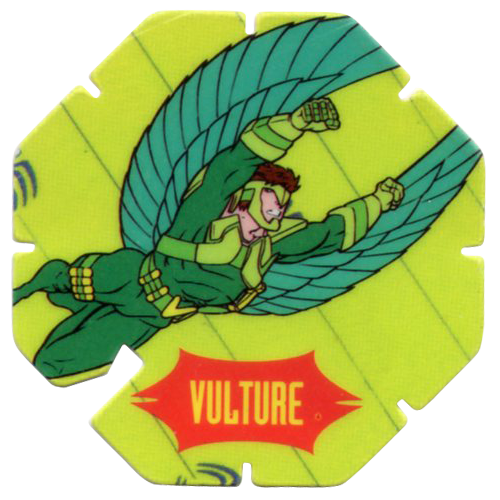 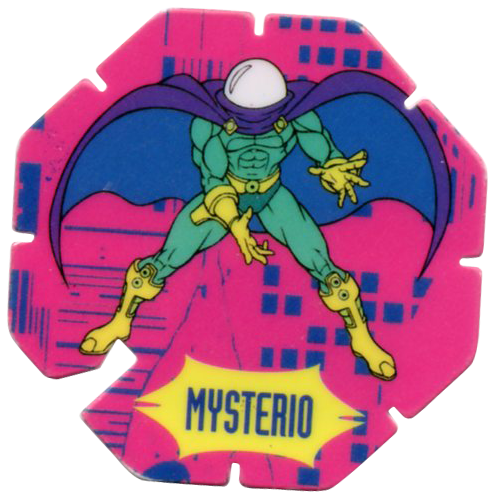 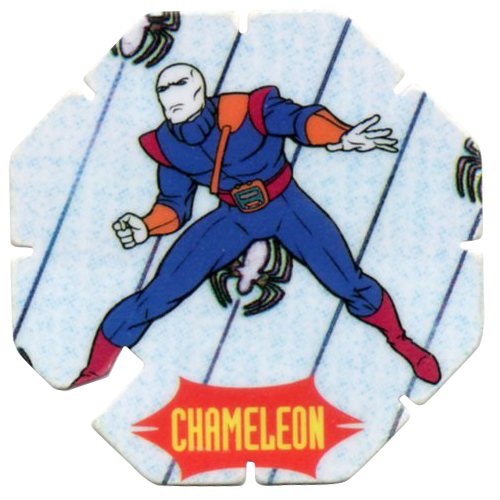 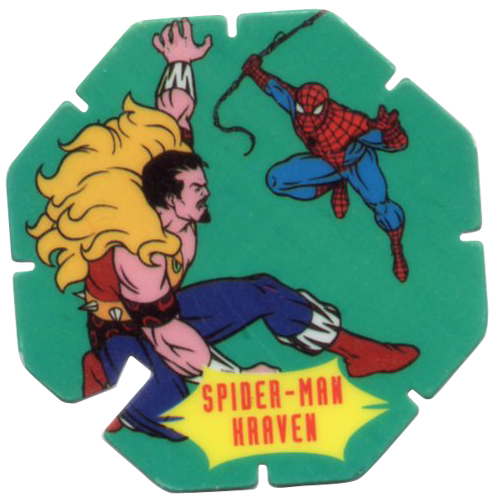 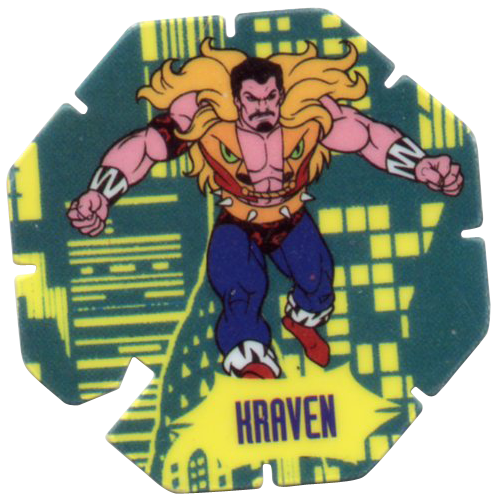 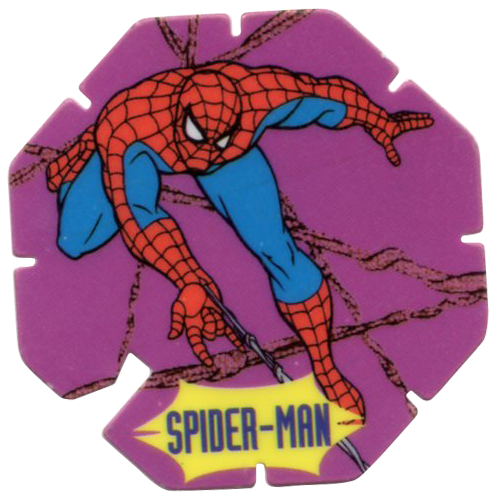 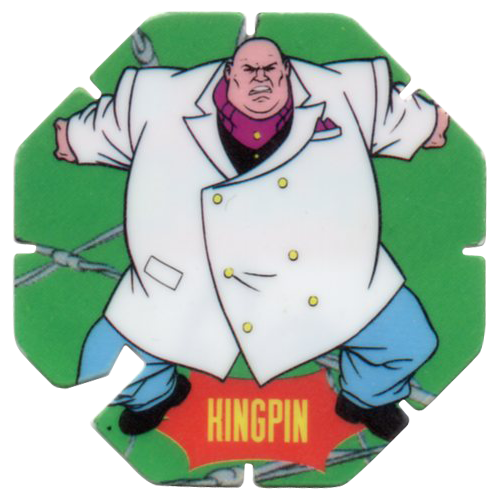 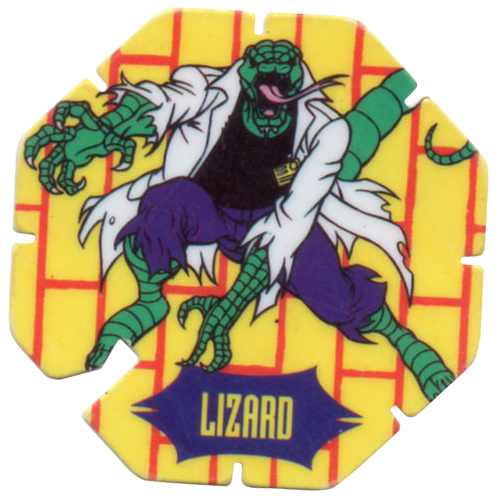 Unlike most pogs, these caps are hexagonal in shape, and made from plastic. 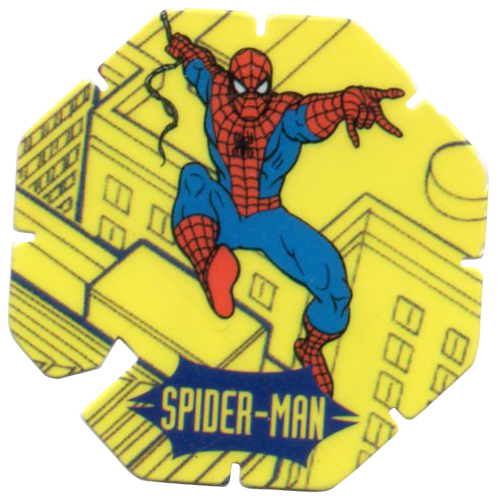 They have small notches cut around the edge, one notch in each side, with a large notch cut into the bottom-left side.